Prince Philip House in London has hosted Waitrose for a product showcase and board meeting for senior-level executives and the media. The Waitrose Christmas Show 2013, which took place last week, attracted 350 members of the media and followed a board meeting for 35 of Waitrose's senior-level executives. 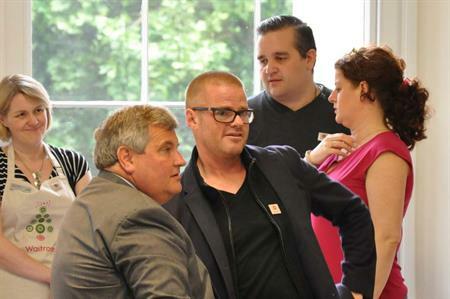 The two-day event included celebrity chef Heston Blumenthal, who talked about his new products. Attendees could also sample Waitrose products cooked by Waitrose chefs. Andrew Ward, Kate Middleton’s hairdresser, has launched a range of hairdressing products and was on hand to style attendees' hair. The event also included a chocolate shop, a cake decorating school and posy-making for attendees to take their flower arrangements away.